Brilliant business ideas often translate into successful business startups. These startups need good software for proper functioning and profitability. Startups have different requirements and need software suiting the ever changing business needs. They need customized software development which is scalable too. It is always a good idea to hire a software development company that specializes in software development for startups like Techno Softwares. How Should Be The Ideal Software For Startups? The software development company with trained and expert developers with experience would be the most desirable for startups. 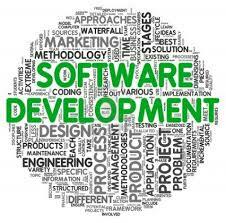 The software development company should use agile and flexible development methods. The software should be designed in a scalable way. A company that uses cloud based development methods is more desirable as it offers better flexibility and security. The software should be designed in a customer-oriented way. Customers and market feedback should be taken into consideration while designing software for startups. The software should be designed in a manner to suit the ever changing market scenario. The web or mobile application for startups should have easy UI that is also interesting at the same time. The logo of the startup firm should be very clear to make the brand recognizable. We have a team of highly experienced and well-trained software developers who know the needs of the startups and are capable of designing software according to the needs. We develop agile, flexible and scalable software which suits the expanding or declining needs of startups and deals with the uncertainty with professional ease. We use cloud and web based methods for the development of software. We also test our software in real-time conditions before deployment. We also do quality-assurance for our software. We design a very easy-to-browse web or mobile application for startups with clear logo and promotional quotes. We use the latest tools to develop the software for startups. The ecommerce site for a startup is developed using latest technologies like Magento framework at Techno Softwares. We develop customized software to suit the business needs of our clients. We encourage the participation of our clients in the software development process, which enables us to design software as per the needs. We maintain complete transparency in development, deployment and payment processes. We ensure timely delivery of results. You get flexible payment options with Techno Softwares. We ensure complete safety of your data with a no leakage guarantee. We offer prompt post-deployment customer support to all our clients. You just have to call us for a quote and allow us to develop a software for your startup which would enhance the profit percentage of your firm.